I am guilty of complaining about the little seaside town that I live in. I find myself complaining about how quiet it is, how dead it can be during the weekend and how annoying the dog owners are. Don’t get me wrong. I love dogs and think they make the most amazing pets BUT there seem to be a lot of irresponsible dog owners. If you intend to walk your dog and you allow your dog to relieve themselves, PICK UP AFTER YOUR DOG! Right. That’s me off my soapbox. 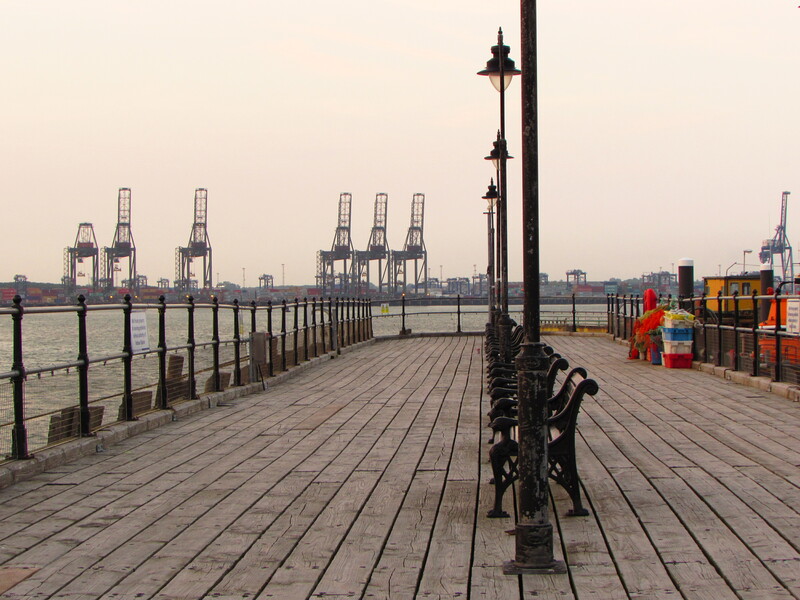 This is, after all, a post about the unappreciated good things about Harwich, Essex, England. Harwich is at the very northern end of the Mayflower Line. It boasts a lot of historical snippets dating back to Roman Times. There are a lot of notable names connected to Harwich: Captain Christopher Jones, the captain of the Mayflower, lives in Harwich; Samuel Pepys, the famous English diarist, was a member of Parliament for Harwich, Captain Charles Fryatt, who is a First World War lived and was buried in Harwich; and my personal fun fact favourite, apparently, Clive Owen lives near Harwich (haha!). There are a suprising number of little historical corners in Harwich: Captain Christopher Jones’s house (apart from being captain of the Mayflower, he was a quarter owner of the Mayflower as well); several notable lighthouses dating back to the early 1800s, as Harwich was a notable port and it was where the Royal Navy Dockyard was established; the Harwich Redoubt Fort, which was a circular stronghold built to defend England against the Napoleonic invasion; it also has the old Electric Palace, one of England’s oldest purpose-built cinemas still surviving and functional. I’ve always loved my little seaside town, my home away from home. I like to say it’s where I properly grew up, because I learned to live and depend on myself and not my parents. I love the little interesting nooks and crannies of this little town and it breaks my heart that some of the people who live here don’t seem to care enough about their town to keep it pretty and clean. We all have to have pride of place, to be proud of our quaint little town because it is significant and important historically. I am brown. Very brown. Brown as a coconut! Alan and I traipsed around Old Harwich yesterday in the sunshine, peeking into people’s gardens. Now, before you sound the alarm and think any improper thoughts, we were paid for the privilege! Harwich gardeners come together every year and open their lovely gardens to the public so they can raise money for chosen charities and this year, because we’re learning to use our cameras (properly), Alan suggested going on the tour to see the gardens and take photos. I took over 200 photos and deleted over half of them, choosing my favourites and best shots. I’ve never seen so many passion fruit vines! 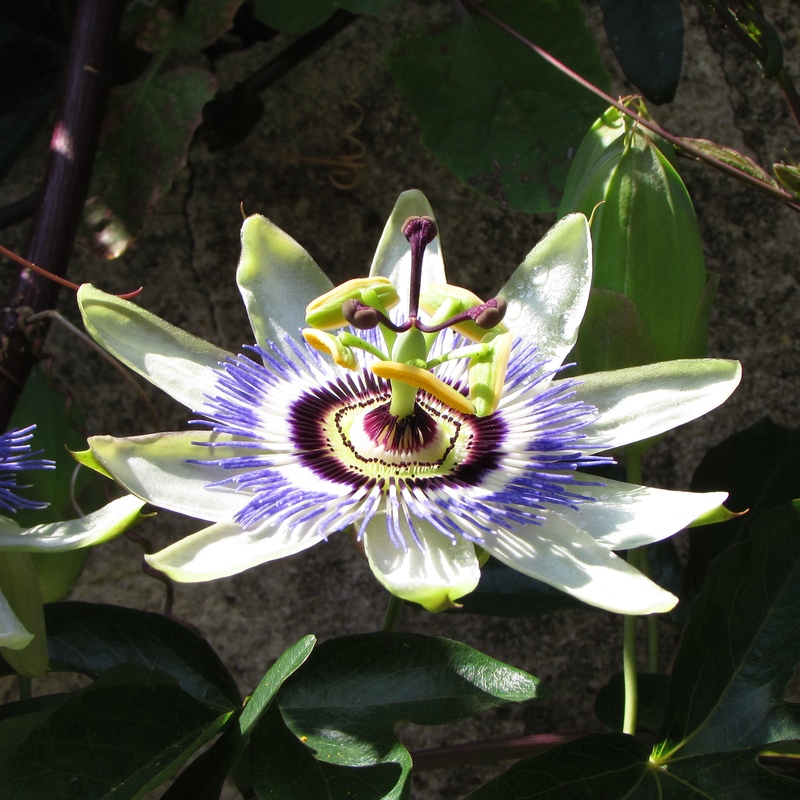 Most of the gardens that we visited on the tour had passion fruit vines that seemed to be well-established and seemed to thrive! It made me smile seeing the vines because once, a long time ago, when our house in Manila was a small two-bedroom bungalow, our garage wall was covered by a huge passion fruit vine. Who knew passion fruit would take to Harwich that well? I think this was one of my favourites. Mostly because it was such an interesting garden. You had to go down several steps. They called it the Sunken Garden. The name of the garden made me smile because it reminded me of my days at uni when I was at the Diliman campus of the University of the Philippines. There was an oval area behind the main library in the campus called the Sunken Garden (I learned during my first week at uni that the “garden” actually sank a few millimeters a year!). This garden made me giggle. This was the garden hiding behind the Swan Gallery. 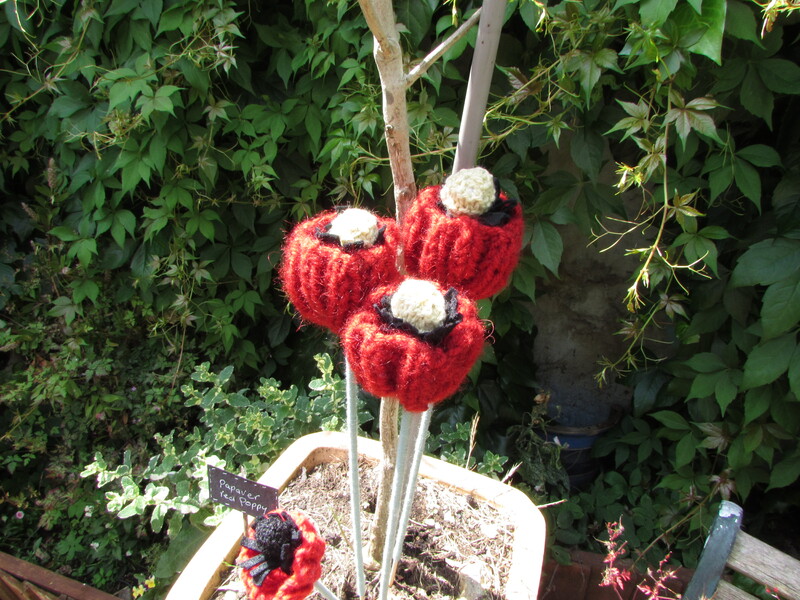 The lady who owns the gallery runs arts and crafts classes and apparently, her knitting group were busy knitting the various flowers and creatures found around the garden. There were poppies, bees, flowers, and bunting. There was even a knitted owl hiding in one of the perches! 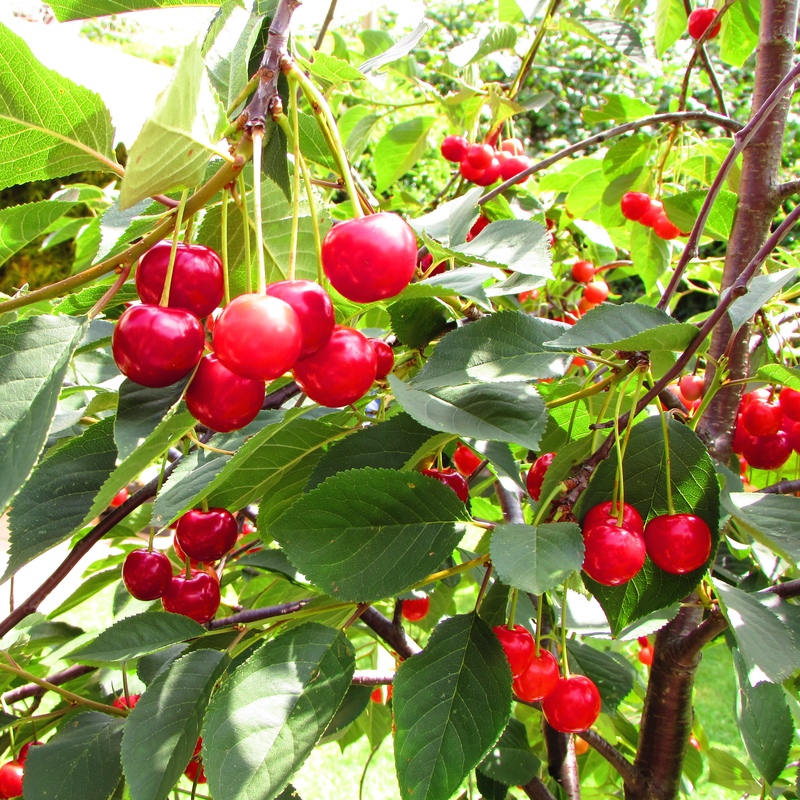 One of the gardens had this lovely cherry tree in a huge pot and the branches were heavily laden with red jewel-like fruit! Who knew you could do that? Well, I did, at least in theory. But this cherry tree was thriving. It must have looked amazing when the blossoms were in bloom! I think we’re doing the tour again next year (with me armed with SPF2000 sunblock). There are so many things to discover in Old Harwich. 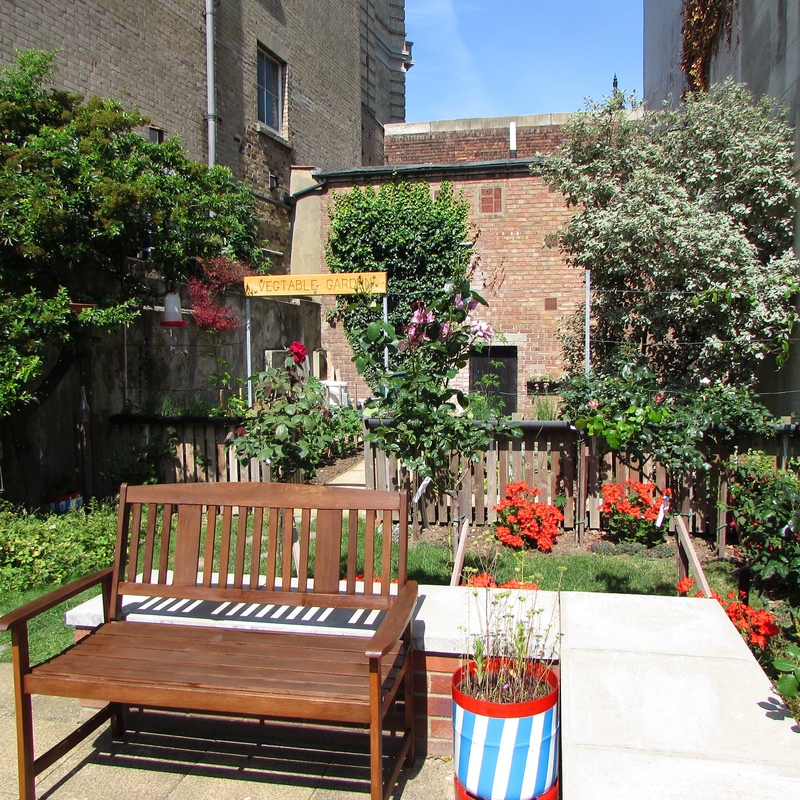 If you’re in this neck of the woods, next year, watch out for the Harwich Secret Gardens tour. Everyone is lovely and flowers and the plants are interesting! I’ve always loved taking snapshots. It’s always a joy when you point and shoot a camera and you capture the nicest scenes. Lately though, I’ve been trying to take photos properly. I’ve been learning techniques on a bridge camera, not quite a DSLR but a good enough one to practice the photography techniques on. Mind you, I’ve got a long way to go because I constantly confuse what the AV mode does (something about the aperture) and TV mode (which controls the shutter speed). 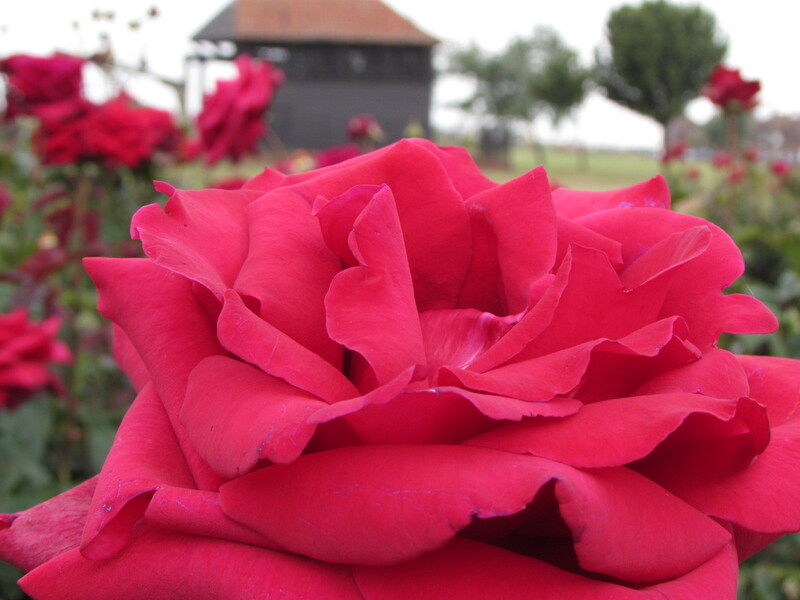 I think I managed to show depth of field successfully on the rose and everything else in the distance is blurry. 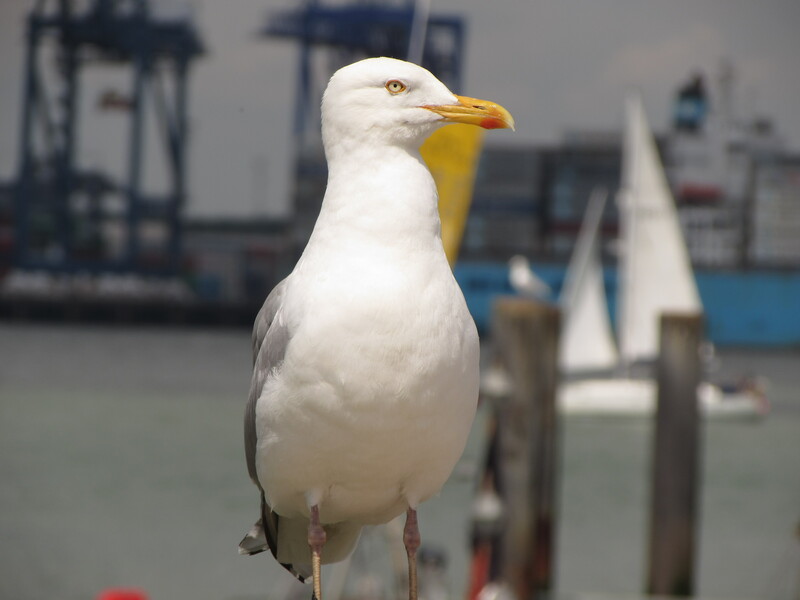 I love photographing birds and I seem to have a gazillion photos of seagulls now, courtesy of Harwich Pier. I do love this photo of this huge seagull with the Port of Felixstowe in the background. More snapshots to come though. I’ve got a lot to learn!